The 2009 American Silver Eagle Coins once again saw extreme demand for the bullion strikes which resulted in the US Mint’s cancellation of the numismatic versions. Continuing a trend that started the previous year, bullion coin interest was extremely high fueled by the uncertain economic conditions of the time. This led the Mint to cancel the proof and uncirculated Eagles as it is required by law to strike the bullion coins to meet demand. It also forced the Mint keep the bullion Eagles on a rationing program for parts of the year and even led to a suspension of sales at one point. Silver also continued to climb during this time-frame further intensifying bullion Eagle demand. For the year, silver averaged $14.99 an ounce, up $1.61 from the previous year. Rocketing past the previous record set just the year before, the 2009 Bullion Silver Eagle mintage came in at 30,459,000. This was a jump of 9,876,000 coins. 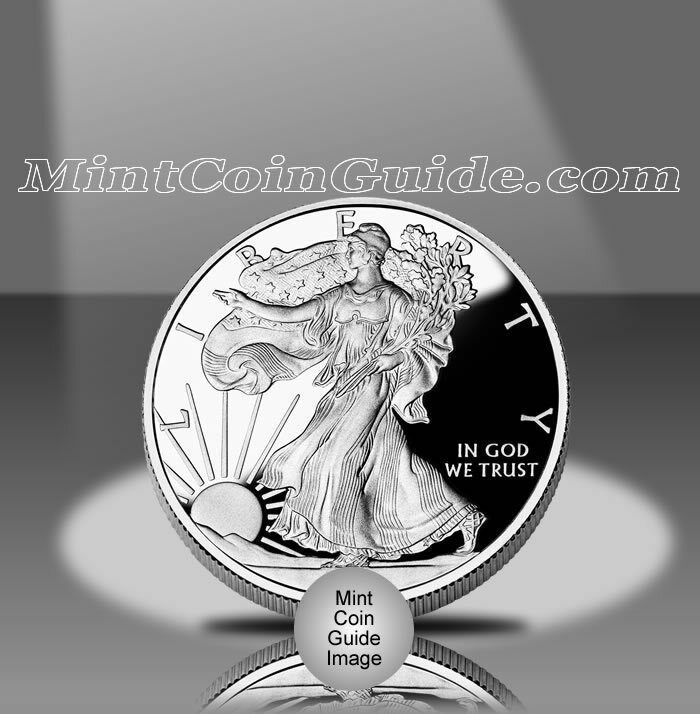 Owing to the intense demand placed on the Mint for the Silver Bullion Eagles, the Mint was forced to cancel the 2009-dated Proof Silver Eagles ending a two-decade plus run of the coins which started back in 1986. After having only been available for three years, the Mint also cancelled the 2009-dated Uncirculated Silver Eagles so it could focus all silver blank resources to the Eagle Bullion Program. The bullion 2009 eagles were the twenty-fourth annual versions of the program which debuted back in 1986. Bullion Eagles were available for most of the year but did experience some rationing and even a sales suspension, owing to demand. The Mint’s network of authorized purchasers sold the bullion Eagles to the public for a small premium above the spot price of the silver contained within them. The bullion Silver Eagles were struck at the US Mint’s facility in West Point but contain no mintmark. Originally featured on the 1916-1947 half dollar, the obverse (heads side) of the eagle contains Adolph A. Weinman’s "Walking Liberty." A heraldic eagle designed by John Mercanti is found on the reverse (tails side) of the Silver Eagle.